The difference in taste and nutrition provided from herbs grown at home far exceed what you find in the store. Once you start using freshly grown or self-preserved herbs, you'll never want to go back. 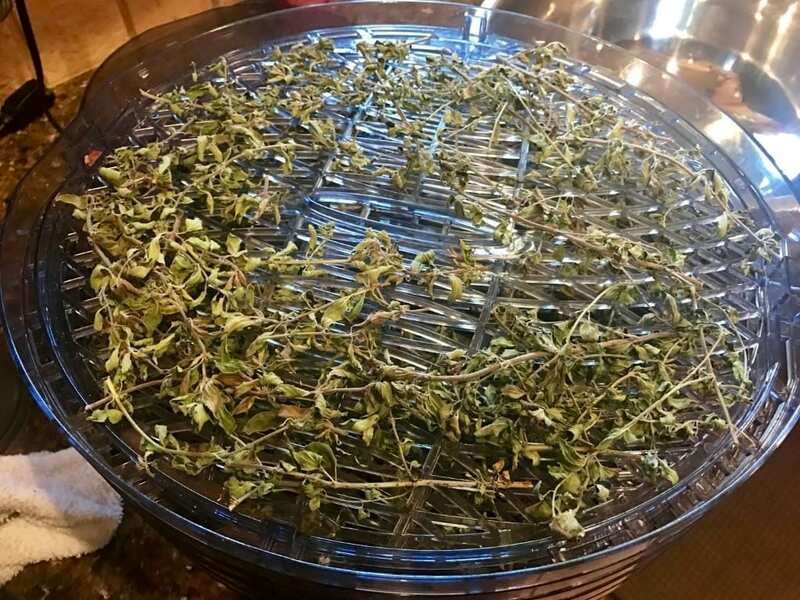 We just harvested one of our oregano plants and made dry seasoning from it. We cut the plant down to the base, let the cuttings soak in room temperature water, and then washed it thoroughly to make sure there weren't any bugs left behind. Then we put it in our dehydrator on the low setting for a couple of days until the leaves crumbled easily. From there the kids took over and removed all the leaves from the stem and placed them into a mason jar. We used this as an opportunity to explain to them what oregano is and why we use it. We've found they're much more excited to try things from the garden when we explain the purpose. It's also important that they have a hand in growing it so they feel like they're part of what we're doing.